We pride ourselves on being certified and qualified to work on many different brands of equipment. Regardless of the issue, we can troubleshoot and repair your equipment to be up and running for your clients. Chris Tickell the head service technician for "Superior Fitness Systems" in the Hampton Roads area decided to start his own company in the Summer of 2009 when he was given the option to buy the section of the business that he had helped to establish. Chris Tickell's company is called "Superior Fitness Service" and is based out of South East Virginia.. Chris has well over 15 Years as a service technician, repairing and maintaining Fitness Equipment for other companies such as "Carolina Fitness Equipment", and "Superior Fitness Systems." The new company "Superior Fitness Service" offers the same unparalleled service that Chris has been providing to customers. "Superior Fitness Service" offers repair and Service to Gyms, Residential, Government Agencies, Hotels, Apartments and various other places throughout the Hampton Roads area, and beyond. 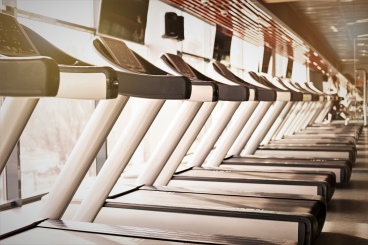 We offer repair and service for most major brand name treadmills, ellipticals, cardio equipment, exercise bikes, strength equipment, steppers, rowers, etc. . . . . . . Where Service is Superior!